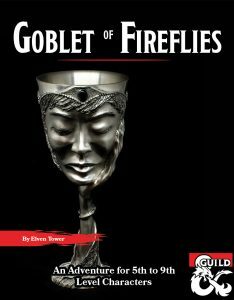 The Goblet of Fireflies is a 4-6 hours long dungeon-crawl adventure for a party of 6th level characters. It includes information on how to adjust difficulty for parties level 5 to 9. It takes place in the wild, a rumor or hook brings the characters to the appointed location. This is easily adaptable for any currently running adventure. The door to the ancient vault opens only once every summer solstice. 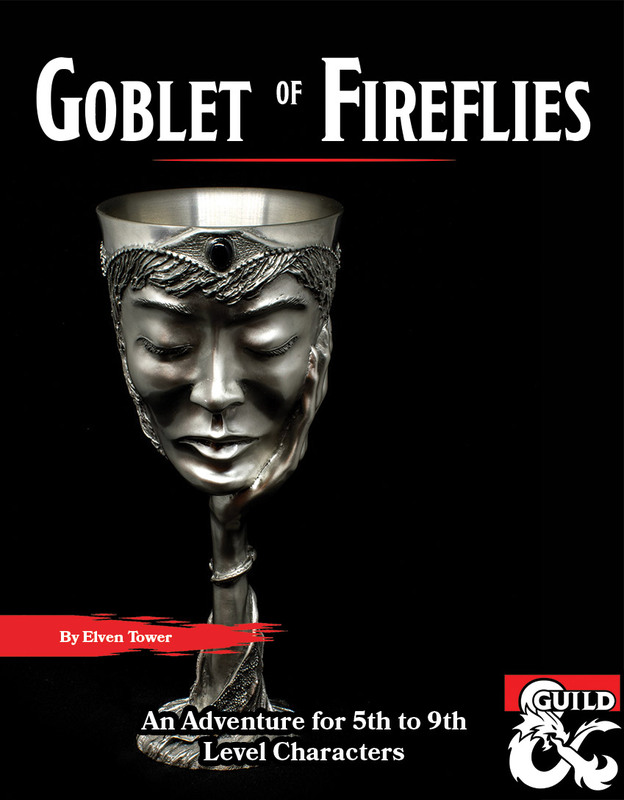 The fabled Goblet of Fireflies lies inside, its power is said to have changed the course of the Feywild wars. 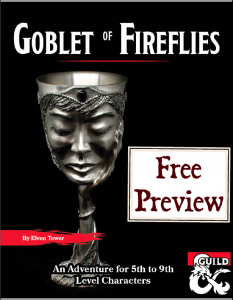 Several fey factions are currently rushing to retrieve it while the fey courts decide who should own it. The adventurers will find their way to the vault and face Lolth’s minions for it. Will they be able to get it before it is too late?